Decals are nicely printed and appear to be in register. 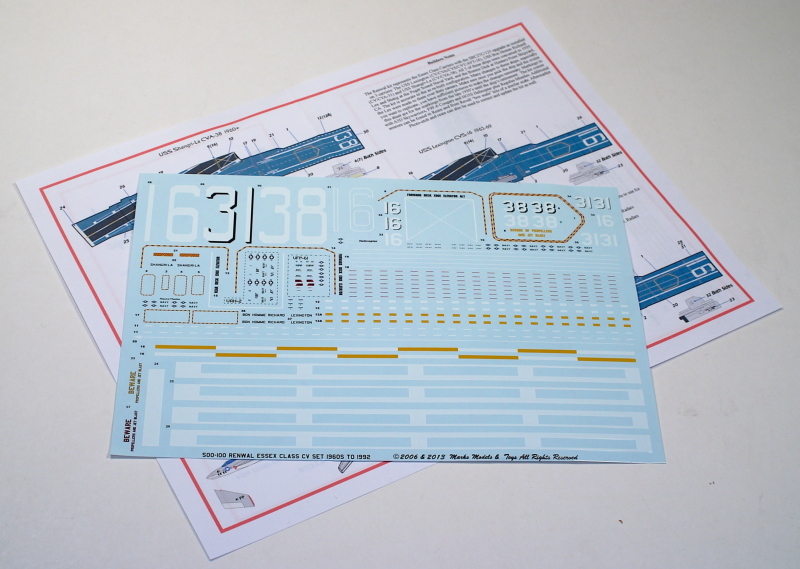 The instructions not only show the placement of most decals, but also point out other aftermarket items available for the kit. In addition, they also provide a painting guide and a list of references. So, if you want to finish your Renwal 1/500 Shangri-La differently – and accurately – then you'll definitely want this set from Starfighter Decals. 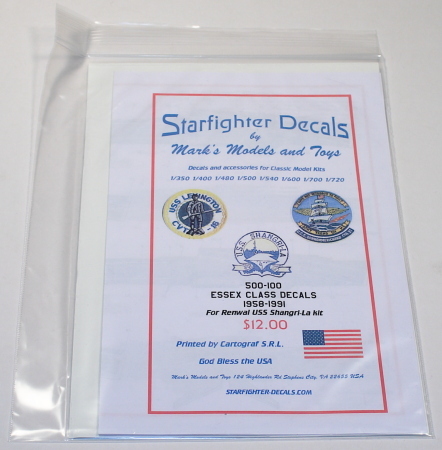 Internet Modeler definitely offers our "thanks" to Starfighter Decals for allowing us to review their wares.